The main thing you expect from snorkel or scuba mask is to be able to breathe normally when using it and to keep water from getting into the mask. Octobermoon Full Face Snorkel and Scuba Mask are great not just at doing that, but they have a special mount for GoPro camera. This means you can stay hands-free and still capture amazing underwater images and diving adventures. With a 180° viewing area and its size, Octobermoon Snorkel Mask is the biggest one you can get. This is actually very good because you’ll be able to see more fish and sea creatures than ever before. You can use this mask even if you’re not very good at swimming, just make sure to pair it with a life jacket. The snorkel mask covers all your face and allows you to breathe normally through the nose and mouth. Octobermoon Snorkel Mask is the biggest snorkel mask on the market. It has a 180° viewing area and special anti-fog design. Octobermoon is made from Japanese non-toxic silicone and German Bayer PC. The materials are non-toxic, environmental and prevent any kind of face or skin allergies. One more great feature is its anti-fog design. There’s a separate breathing chamber so that prevents air getting into your main viewing area. The mask comes in two sizes- small and medium and three colors- black, blue and pink. 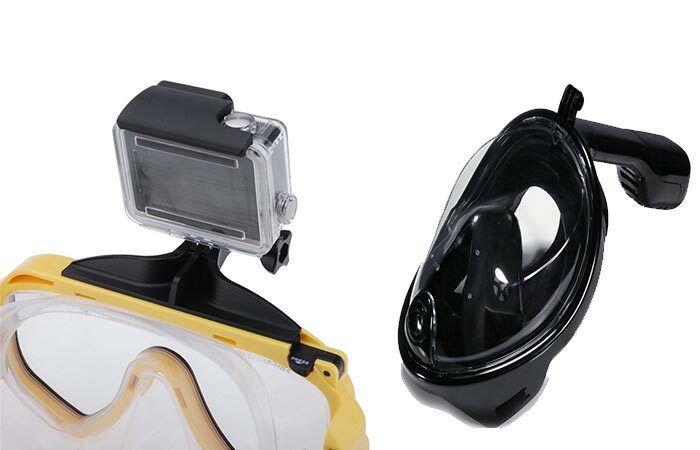 Both snorkel and scuba mask have a GoPro camera mount suitable for many types of GoPro cameras. 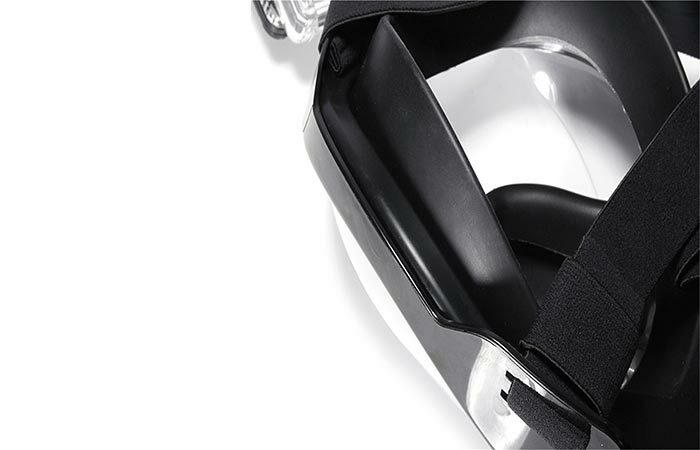 As for the Octobermoon Scuba Mask, it also has a GoPro base that can fit many cameras using that connection. With the wide viewing area and the camera base, you can both enjoy what you see and shoot cool videos with your hands-free. This scuba mask comes in two colors- yellow and blue.